"My daughter followed my son to come under the care of Madame Isabelle. She was with her for two years and developed very well in all areas as well as being able to speak and understand French. She has now gone on to JK and her success arises from the very strong foundation that Madame Isabelle gave her. Words cannot express my gratitude to such a caring, patient, loving and hardworking lady. Totally recommend her daycare!" Okay, that is more than 3, but it is the truth. It is always hard to leave your little ones with someone you don’t know, but I never got that feeling with Isabelle. As soon as I met her, I could see the passionate and loving person that she is. I was sure that my little Eva was in great hands and I was never worried for her. So all I have to say is thank you very much Isabelle. We value your dedication. "My son first came under the care of Madame Isabelle at ‘Centre de la jeunesse Maison Montessori’ when he was two and a half years old. He spoke very little French at the time. Through her very gentle, loving, thorough instruction and training in the Montessori system, he has grown up to be very independent, inquisitive and always eager to learn. He is proficient in both French and English. He is now approaching six years old and is still under the after school care of Madame Isabelle in her own ‘Chez Isabelle Montessori Home Daycare’. She operates a very safe, clean and fully educational establishment that allows the children to fully thrive. Madame Isabelle is very patient, hardworking and totally understands that each child has different learning capacities and as such gives each child its own learning plan. I wholeheartedly recommend ‘Chez Isabelle Montessori Home Daycare’ for your children and all you have to do is give Madame Isabelle a call." "Madame Isabelle is fantastic!!! I met Isabelle at her previous position at a Montessori daycare. When the daycare closed and she started her home daycare I decided to enroll my daughter, who is now 3 years old. Isabelle and my daughter formed a strong bond, which I find very valuable. My daughter loves it there: the homey feeling, the confidence she gains from the Montessori activities, the care Madame Isabelle provides and especially the homemade food. My daughter’s speech is improving in both English and French. She is introduced to skills she will later use for reading, writing and mathematics. For me this is so important, as I would like my daughter to have a strong base before starting kindergarten. My youngest daughter is enrolled starting this spring. She will be 11 months. I feel COMPLETLY confidant that Isabelle will take care of her just as good as I would at home. Plus my daughter will have other positive experiences she may not at home. In my experience as an elementary teacher I HIGHLY recommend Chez Isabelle Montessori Daycare." "TRUST. INTEGRITY. HONESTY. Chez Isabelle Montessori Home Daycare is just like home. Literally. I have known Mme Isabelle for just over a year, and, I am completely comfortable leaving my 3-year old son with her, and, I even have my other child enrolled in September. She has been in the industry for a long time and the quality of education for my child is way above standard. I have noticed my son exceed in his skills and continue to grow in his education. Chez Isabelle Montessori exemplifies a welcome environment to both the children and the parent, always available to answer any parents questions and offers suggestions when needed. This Montessori is a gem. I can not ask for anything but the best for my child - and I have found it." "Our 20 month old son has been going to Chez Isabelle Montessori Home Daycare since he was 15 months. In just a short time we have noticed a significant development in his communication and practical life skills. Isabelle provides a very homey and comfortable learning environment. She has exceptional child care skills and makes us feel confident and at ease that our son is well taken care of when we are at work. 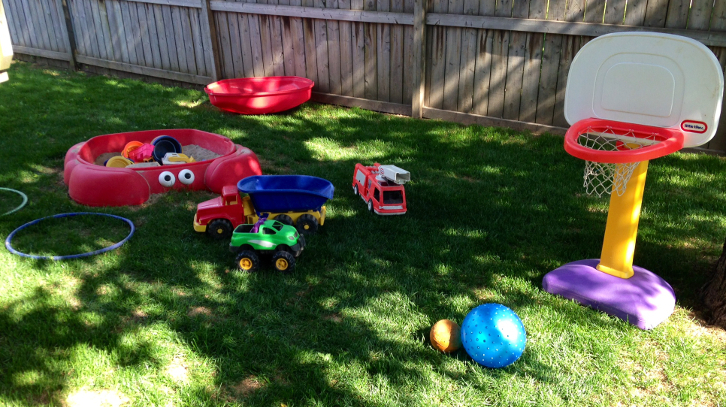 We highly recommend this daycare and will continue to use her services."